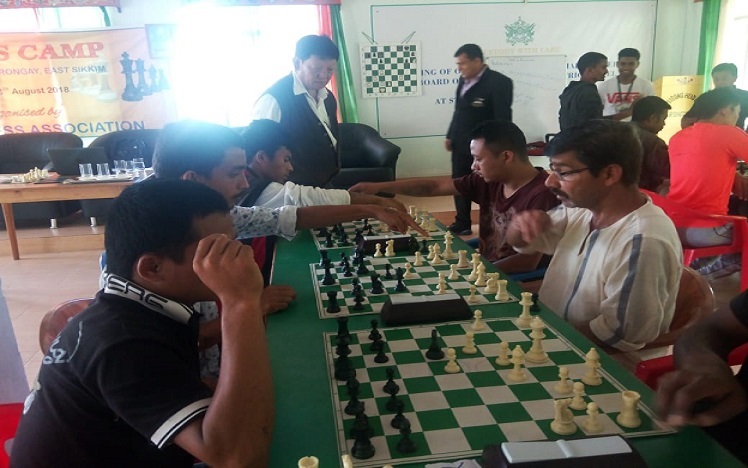 Sikkim Chess Association (SCA) has organized a three-day long chess camp for the inmates of State Central Prison at Rongneck from Thursday. SCA general secretary, Mahendra Dhakal, who is also an international arbiter, has been imparting training on the basic skills, techniques and latest rules and regulations to 32 participants in the camp. The second day of the camp has also witnessed a rapid chess tournament on Friday. Dhakal said SCA has planned to conduct such regular chess camps in the State Central Prison to bring change in the thoughts and lifestyle of the prison inmates. He said the chess camp has been getting encouraging and positive feedback even in the second day of the camp. He added that the chess would help a person to bring good changes and make them competitive. Dhakal said if this initiative brings a good result through good changes in inmates in the near future then the initiative would be taken to the FIDE to take it to the other parts of the world. He thanked the State Central Prison, Rongneck, ASP Binod Tamang for all support in the initiative and also thanked the Home Department Secretary Pratap Pradhan for their cooperation in the initiative.